Just east of Atlanta and just south of the Blue Ridge Mountains, Athens, Georgia offers ELUNA 2013 attendees a beautiful conference facility, a choice of hotels in walking distance, and a bustling downtown filled with music, shops, and restaurants; all at the entrance to the University of Georgia’s verdant campus. Convenient to two interstates, Athens is within easy reach by car, shuttle service, or bus from the Hartsfield-Jackson Atlanta International Airport (80 miles) and Greenville-Spartanburg International Airport (100 miles). See the Visitor’s Guide from the Convention and Visitors Bureau for more information about Athens. The Classic Center brings together state-of-the-art technology and Southern hospitality in a venue that features new and modern spaces perfectly paired with restored historical structures. Positioned at the east end of downtown Athens, the Center is within walking distance of all conference hotels. Daily parking in the adjoining parking deck is free for conference attendees. The conference planners have arranged for blocks of rooms at all downtown Athens hotels, along with one hotel on the western side of town, providing a choice of experiences for all tastes and budgets. All of the downtown hotels are within walking distance to the Classic Center (from 25 yards to 7 blocks). All hotels provide free Wi-Fi. Most provide free parking. Conference room rates range from $89 per night to $194 per night. All of the hotels must be called directly in order to make a reservation using the conference group rate code; see details below. The Hilton Garden Inn Athens is the most convenient to the conference, as it is directly across the street from The Classic Center on the east end of downtown Athens. Amenities include a fitness center, indoor pool, hot tub, complimentary Wi-Fi, Business Center, and the Great American Grill® restaurant serving cooked-to-order breakfast and dinner. 390 E. Washington St. This unique hotel property is just a short walk from The Classic Center, on the north edge of downtown. 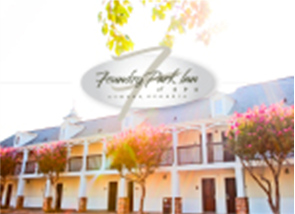 The Foundry Park Inn & Spa is a village within a village. Landmark buildings seamlessly nestle against modern additions, blending for a handsome design. Amenities include the Hoyt House Restaurant and the Melting Point, a music, food, and beverage venue at which the optional ELUNA dinner networking event will take place. 295 E. Dougherty St.
Athens’ newest boutique hotel presents a refreshing twist of classic charm, outstanding service, contemporary ambiance, and environmental awareness. Just a short walk from the Classic Center on the north edge of downtown, Hotel Indigo-Athens is LEED-Gold certified from the US. Green Building Council and sets a new standard for those seeking the finest in accommodations while visiting Athens and The University of Georgia. Bring your pooch; pets are most welcome! No matter the occasion, Hotel Indigo-Athens can turn any hotel visit into the glamorous stay of your dreams. Enjoy local food & libations at the Madison Bar & Bistro. Peruse local art at the Gallery @Hotel Indigo-Athens. Catch music & special events at the Rialto Room. 500 College Ave. The Courtyard Athens Downtown has newly renovated guest rooms and lobby. Courtyard Bistro offers great breakfast and dinner options and proudly serves Starbucks coffee and an array of specialty cocktails. 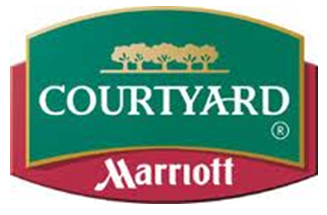 Complimentary internet access and complimentary parking are just a couple of Marriott perks! On the west end of downtown Athens. A Dawg’s delight! This luxury sports condo-hotel in the heart of downtown Athens offers 65 guest suites with one, two, or three bedrooms. Each unit is decked out in UGA-themed decorations and provides a luxurious home away from home experience; those planning to come for the whole week (Ex Libris Technical Seminar and ELUNA) as well as those sharing rooms might really appreciate the separate living room, full kitchen with dishes and full size appliances, washer/dryer, and on-site Fitness Center. Complimentary shuttle to/from Classic Center. 250 W. Broad St.
Centrally located in the heart of Downtown Athens, GA and adjacent to the campus of the University of Georgia, the Holiday Inn Athens stands seven stories strong in downtown, overlooking the gorgeous North Campus of the University of Georgia. The Redfearn Grille serves breakfast, lunch and dinner daily, offering tasty southern cuisine. Amenities include an indoor pool and fitness center. 197 E. Broad St. 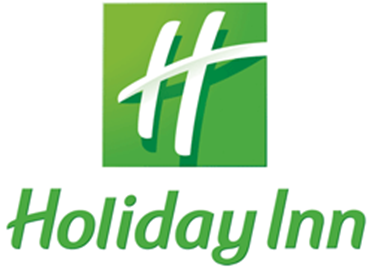 The Holiday Inn Express Hotel Athens is conveniently located just two blocks from the heart of downtown Athens. All rooms include a free Express Smart Breakfast Bar in the Great Room each morning for all registered guests. Other features include: high speed internet access in all guest rooms, free local phone calls, state of the art exercise facility, business center. The outdoor pool will not be open yet during ELUNA even though it should be warm enough to swim. All guest rooms are accessible via interior corridors with your choice of one king size bed with sleeper sofa or two double beds, smoking or non-smoking. 513 W. Broad St. 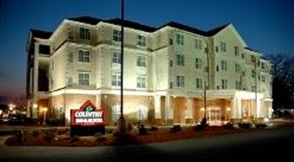 The Athens Country Inn & Suites features 81 thoughtfully appointed suites, a 4-story atrium lobby, fitness center, and indoor heated pool & whirlpool. For attendees with transportation, this hotel is conveniently located in the Alps Rd./Beechwood area known for national retailers and a wide array of restaurants, including many national chains. Complimentary breakfast and high-speed wireless / wired internet. All rooms include microwave, refrigerator & 32″ flat screen cable TV with HBO. 236 Old Epps Bridge Rd. Athens is an 80 mile drive from Atlanta Hartsfield Airport (ATL) and a 110 mile drive from Greenville-Spartanburg Airport (GSP). The Atlanta airport serves as a major hub for travel throughout the Southeastern United States and is a focus city for Southwest Airlines and the primary hub of Delta Air Lines and Delta Connection partner ExpressJet. 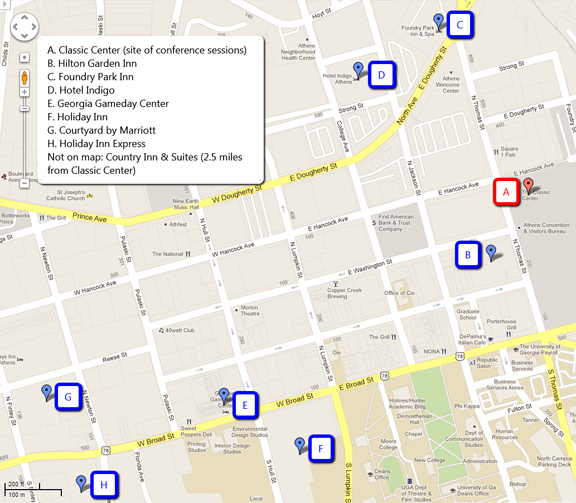 Once in Athens, most attendees will not need transportation, as all of the activities provided by the conference will be within walking distance of all but one hotel and the Classic Center. 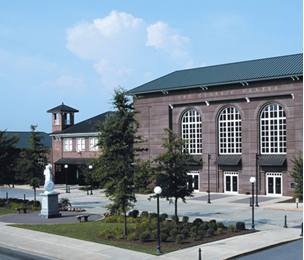 In addition, University of Georgia campus bus service connects downtown Athens will all parts of the large UGA campus, which affords additional options for the visit, including the UGA Libraries, Special Collections building, and the Georgia Museum of Art. Athens also offers public bus transportation and cab service. Shuttle: Groome Transportation Service to and from Atlanta Hartsfield-Jackson airport and all ELUNA 2013 conference hotels several times a day. Special rate for ELUNA: $58 round trip; or $29 one-way. This rate available by phone only; call 1-800-896-9928 or 706-410-2363 and reference the Promo code: ELUNA13. The New York Times called Athens “Live Music Central” and Rolling Stone Magazine named Athens the “#1 College Music Scene in America”. By night, Athens is alive with a variety of music clubs and bars that offer entertainment suited to every taste and no visit would be complete without sampling a bit of Athens’ world-renowned music scene. From a few bands that started something different (The B-52’s, Pylon, R.E.M., and Widespread Panic) and gave Athens national attention, there are now hundreds of active bands, over 10 recording studios, and several independent record labels. World-famous venues, such as the 40 Watt Club and the Georgia Theatre, continue to attract up-and-coming musical acts as well as old favorites. With jazz, classical, blues, country, and rock performances occurring on a regular basis, Athens provides one of the most diverse and affordable music scenes in the world. See a free Flagpole Magazine (published every Wednesday) for performing artists’ schedules as well as other local events and happenings. Athens has a lively art scene, in which artist-run galleries and events cross-pollinate with the Lamar Dodd School of Art, the Georgia Museum of Art, the Lyndon House Arts Center, Athens Institute for Contemporary Art (ATHICA), the Gallery@Hotel Indigo, and more. The Ciné art house cinema features new and classic releases, a variety of alcoholic, caffeinated, and all purpose beverages, a gallery, and a lab space where all of kinds of performances and events take place. They offer a $25 dinner and a movie combo in tandem with The National on Sunday, Monday, Tuesday nights that is a great way to experience one of the best restaurants in town along with the best movie theatre. Athens has a rich history, beginning with the chartering of the University of Georgia in 1785 as the first state college in America. In 1806, the city was incorporated under the name Athens, after the ancient Greek center of higher learning. Take a stroll through the historic arches at the downtown intersection of Broad Street and College Avenue to witness the beautiful historic North campus of the University of Georgia, and continue on a self-guided tour. Athens has 16 neighborhoods on the National Register, including four house museums, open for public tour. See page 17 of the Visitor’s Guide for a $5.00 off coupon for either the historic neighborhood or house museum tour package, along with maps and descriptions of historic attractions. Stop in the Athens Welcome Center at the Church-Waddel-Brumby house on the corner of Dougherty and Thomas Streets, between the Classic Center and The Foundry Park Inn and Spa, for more information or to take a tour, or see their Podtour and map of historic downtown Athens. Twilight Criterium (April 26-27) Founded in 1980, the Athens Twilight Criterium was the first nighttime race in the United States in over 60 years. What began as one race with 40 competitors has since grown to offer eight separate race classes and 150 cyclists competing in the main event, the men’s criterium, an 80K race around downtown Athens. Human Rights Festival (May 4-5) An annual two-day event that takes over the main intersection of downtown Athens with speakers, bands, exhibits, food, and more. Atlanta, Georgia: add on a day or two in Atlanta and explore the many things the city has to offer. The Grit: World famous vegetarian fare on the western edge of downtown. The Waffle House: Morning! A unique Georgia-based 24-hour breakfast chain. Order hashbrowns scattered, smothered, covered, chunked, or topped. Play the Waffle House song on the jukebox. DePalma’s: Popular mid-scale Italian bistro. Weaver D’s: automatic for the people, soul food for the soul. Just down the hill from the Classic Center. Go for lunch and get your greens on. Five and Ten: world class restaurant in little old Athens. On the other side of campus in Five Points.